Find a vacation home to rent in Verona from our list of vacation rental properties. Campaya has over 2 vacation homes available in Verona, which give you the possibility to locate a unique accommodation in Verona which completes your check-list in search for the perfect self catering vacation apartments in Verona or vacation villas in Verona. Beautiful holiday home with private pool and heated whirlpool in the heart of Valpolicella, in Veneto region. Beautiful villa (approx. 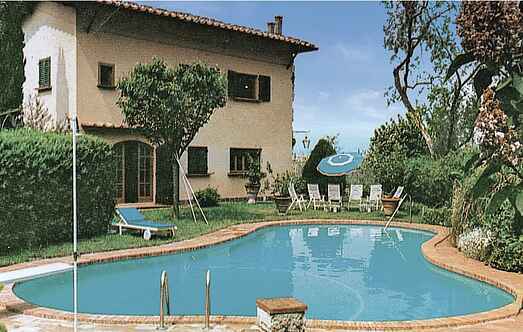 200 m2) overlooking Lake Garda (about 150 m), set in a residential area where villas predominate. This beautiful holiday home is fantastically located only 2 km from Lazise and only 200 m from the beaches of Lake Garda, which are accessible via a narrow private road. Four apartments set in a former farmhouse on the Rocca that dominates the town Garda ("Warda", an old military fort built on the Rocca in the age of the barbarian invasions). Small villa that has been recently built, divided into 2 apartments (IVG435 and IVG436) in the hills east of Garda Lake. Holiday home 7 km from Sant'Ambrogio di Valpolicella and only 22 km from Lake Garda away. Holiday apartment with small balcony near the small town of Lazise, at Lake Garda. 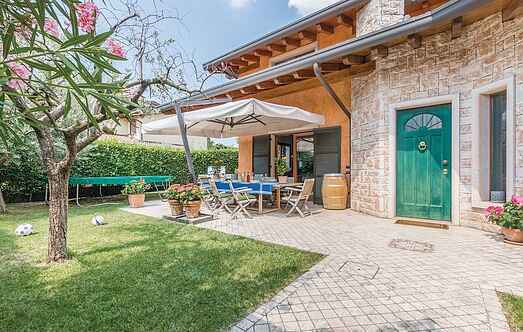 Beautiful villa at a few meters from the beaches around Lazise, on the eastern lake Garda. The house on 3 levels is surrounded by a large garden with covered terrace. A few steps from the centre of Pacengo Lazise lies this holiday home which overlooks the main road that runs along the Lake Garda. Nice holiday apartment at 7 km from Lake Garda with outdoor space and beautiful views of the vineyards. This lovely apartment is located in a country house in the Veronese countryside, just a few kilometres from Lake Garda. This charming apartment is nestled in an old farmhouse in the countryside of Verona, a few kilometers from Lake Garda and Valpolicella, famous for its wines and spas. Lovely holiday home with private pool and breathtaking view overlooking Lake Garda, on the panoramic route of Bardolino, only few minutes’ walk from the lake.